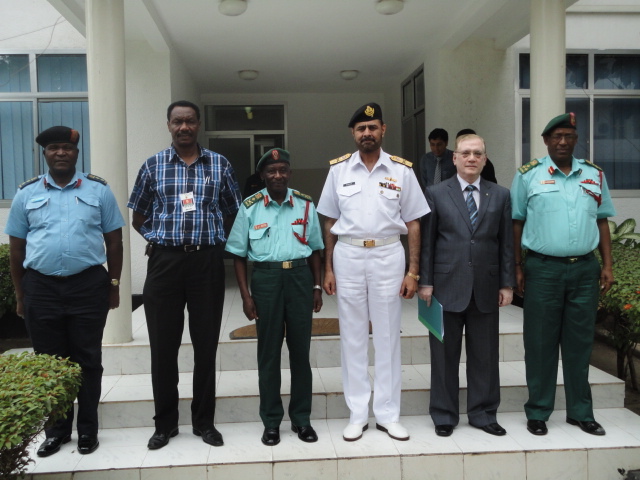 Commodore Mukhtar Khan, Commander Combined Task Force 150 (CCTF), met the Chief of Staff of Tanzanian Peoples Defence Forces (TPDF) and other key TPDF officials during his visit to Tanzania on 5-6 July. The meetings afforded an opportunity for CCTF-150 to emphasize the need for close coordination between Combined Maritime Forces (CMF) and TPDF. It was mutually agreed that global challenges of Terrorism, Piracy, Narcotics Smuggling and Human Trafficking can best be curbed by coordinated, focused and well coordinated efforts. The TPDF authorities expressed their determination to contribute to peace and stability in the region. They also highlighted efforts made to stop the flow of illegal trafficking through Tanzania, raising concern that the solution to all these sea-related and interlinked issues lies ashore.